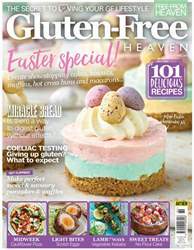 When her daughter started to show signs of feeling unwell, Claire Latham was surprised by the doctor’s suggestion to undertake coeliac testing, as her daughter hadn’t eaten gluten for several years. My daughter was quite young when we first realised that she was allergic to gluten, but she refused to take a blood test as the thought of it terrified her. At the time, the doctor we saw explained that, providing she followed a gluten-free diet, not having the test would be fine and, if she felt she needed to take it at a later stage when she was older, then she could do so then. Since that day, she has successfully avoided gluten, was generally fit and well and had lots more energy. So coeliac testing wasn’t really on my mind until a few weeks ago when she started to complain of feeling unwell and looked worn out, pale and complaining of a stomach ache. Due to my family history (a long line of coeliacs) the doctor we saw this time suggested that our first port of call would be to test for coeliac disease, and that a testing period of two weeks would be sufficient. As anyone who has completed the test will know, the thought of this filled me with dread, especially because none of our family members have ever been able to complete the test due to it making us feel so unwell and I was loathed to put her through it. Thoughts of her lacking the energy for school and normal activities sprang to mind, combined with the memories of her reaction if she had accidentally eaten any gluten in the past.